In a piece of news that is just too wild to believe, the makers of the new Goophone I5, an Android powered device that is in the shape of the upcoming iPhone 5, intends to sue Apple for patent infringement upon release of the iPhone 5 in China. Designed from leaked specs on the iPhone 5, the Goophone has already been patented in China and the company will do all it can to make sure Apple doesn’t steal any of their hard work. You’re kidding, right? 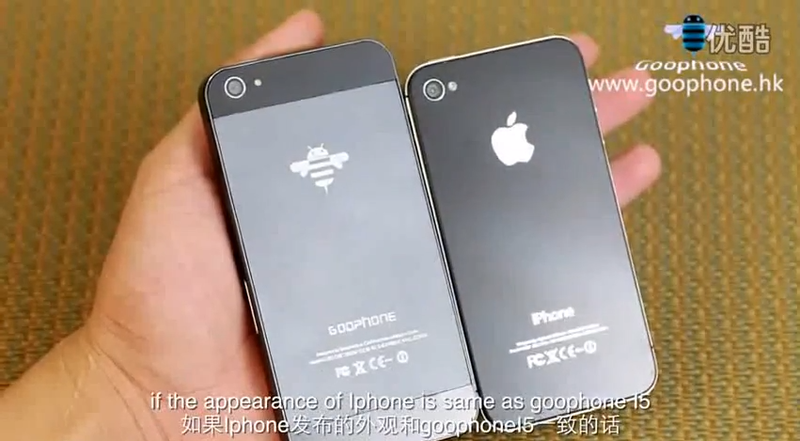 Anyone remember GooApple 3G? It was the original Android powered iPhone device that was actually pretty awesome. Either way, if this company actually intends to sue Apple, that case probably won’t last long. Apple’s lawyers would most likely have a field day with these copycats. Thursday Poll: Interested in Any of the New Kindle Devices?